In this listing, you'll receive the file to print and assemble the pictured centerpiece. 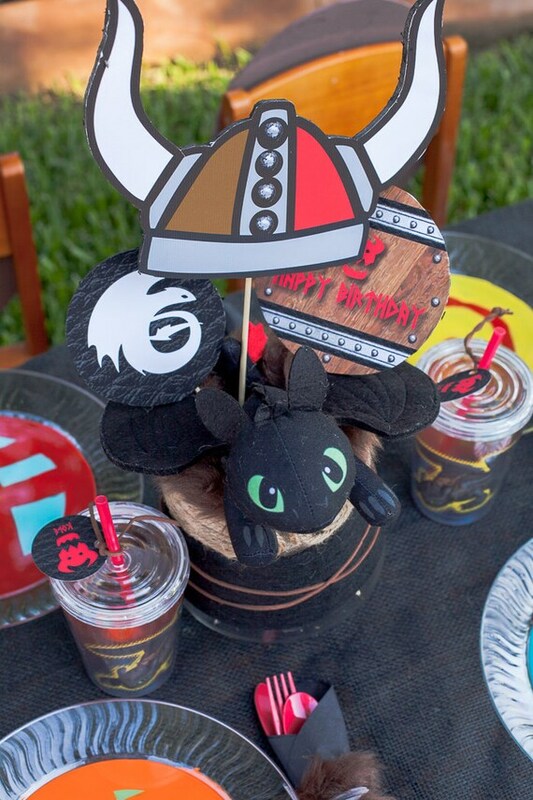 It includes the viking horns, black circle with "Toothless the Dragon" logo and wood looking circle that says "Happy Birthday." With your purchase, you can print as many as you want, no limits. 2. Instantly download the files.